The trigger lock-out button will prevent the accidental start of the engine. In addition, the manufacturer provides a wide range of metal blades for this model. You should apply considerable efforts to attach the shaft. 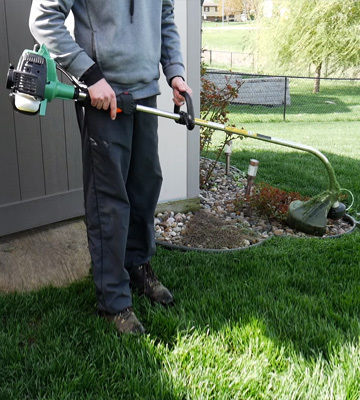 The high performance of this gas weed trimmer allows for quick trimming of small and medium-sized lawns while its straight long shaft gives easy access to the grass in confined places. The construction includes protective covers not only near the trimmer head but also near the fuel tank in order to protect the user from contact with the nodes and components of the mechanism. Safety glasses that come in the set are another advantage in terms of security. Some may find the throttle lever a bit uncomfortable and fragile. The strikingly small weight and long straight shaft make it possible for each member of the family to comfortably use this trimmer, regardless of their height and build. 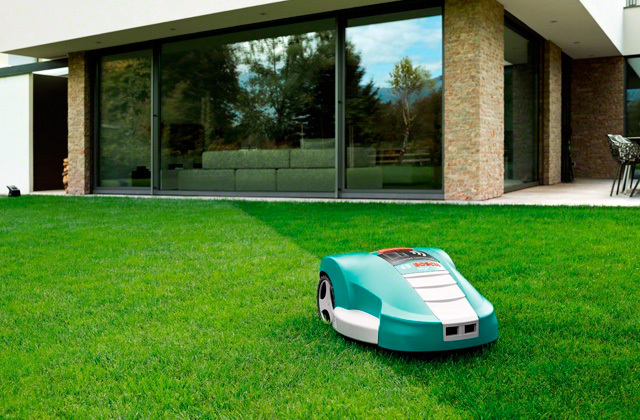 Try it out and enjoy the convenience that'll make mowing the lawn a far less tedious process. Along with the brushcutter, the model comes with a shoulder strap that will take off some of the pressure from your hands. Furthermore, the U-shaped handle does a great job distributing the weight, so your hands shouldn't get too tired even after an hour of continuous use. The model features a powerful 42.7 ccs engine. The metal blades will allow you to easily use this model not only for cutting lawns but also for efficient trimming of bushes and cutting of finger-thick grass. Еру Patented SureFire™ starting system makes it easier to get the whole thing up and running with the use of momentary fuel supply. As a result, it will take you no more than a few seconds to turn the trimmer on. The fuel tank's volume is unimpressive given the power of the engine. The Poulan Pro company presents a truly multifunctional tool that can easily perform the role of several gardening tools. By purchasing additional attachments, you receive an edger, a cultivator, blower, brush cutter, pruner, and even a hedge trimmer. The curved rod and the flexible shaft provide some additional cushioning when you come in contact with solid objects. Also, this sort of construction makes it more comfortable to mow the grass under the benches and between flowerbeds. It might take some time to get used to starting this trimmer. 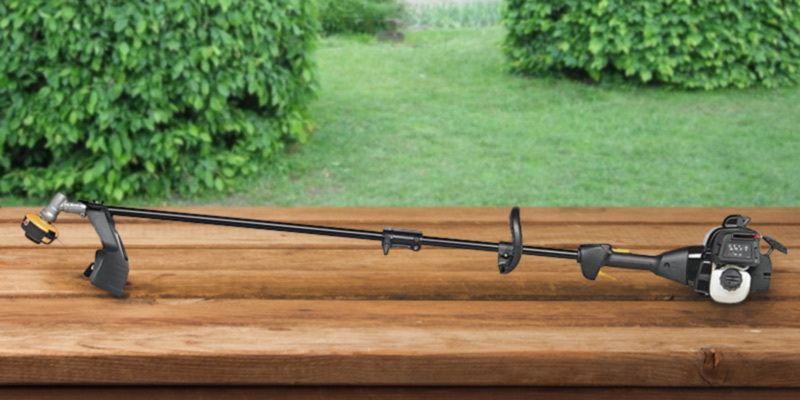 Remington Rustler ™ is an inexpensive and practical model that will definitely satisfy the owners of small garden plots. 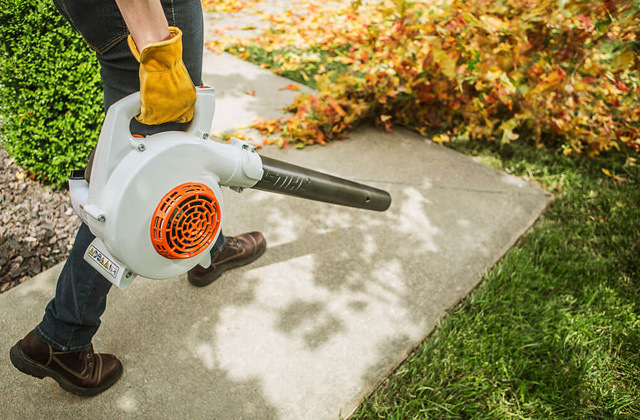 And the low level of noise of the engine allows you to work with the brushcutter during any time of the day without disturbing your neighbors. If you are looking for not very heavy weed eater that would be able to process medium-sized and larger lawns with dense weeds, Husqvarna 128LD is a good choice for you. Also, it is easy to launch and operate and here is why. 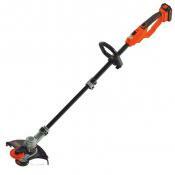 This gas string trimmer is equipped with trigger lockout that prevents the engine from the accidental start. The Smart Start® technology will help you start the trimmer quickly and simply thanks to a smartly designed manual engine starter. This model comes with a 2-cycle internal combustion engine with the capacity of 28 ccs. The 1 HP engine can reach the speed of about 8000 RPM. It's a comparatively large capacity among lawn mowers. Moreover, this engine is designed to use the mix of gas and oil, so it is cord-free and does not require battery charging. The manufacturer has installed the purge primer on this trimmer to eliminate the air from fuel supply system. 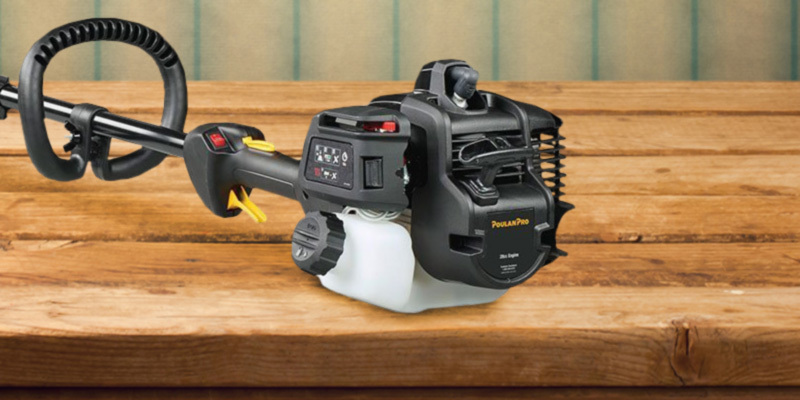 Despite the fact that fuel trimmers usually appear to be louder and heavier than electric units, Husqvarna 128LD still has a weight of 11 lbs, which will not be overwhelming. The fuel tank capacity is 13.5 oz and it will be enough for 30-40 minutes of continuous work. The straight shaft of this gas line trimmer is installed at the angle of 30 degrees. Such design ensures the comfort of literally any user whether he or she is tall or short. 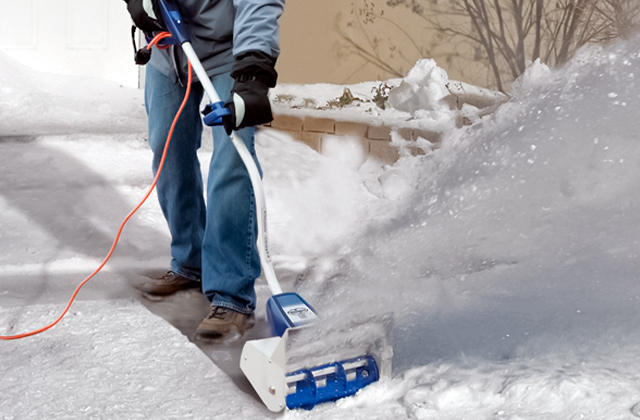 This trimmer will reach the grass under shrubs, benches, stairs, and other hard-to-get places. The semiautomatic spool will feed the line if it tears, just hit the spool on the ground softly. When you replace the line, you should reel it up the spool manually, following the operator's manual. 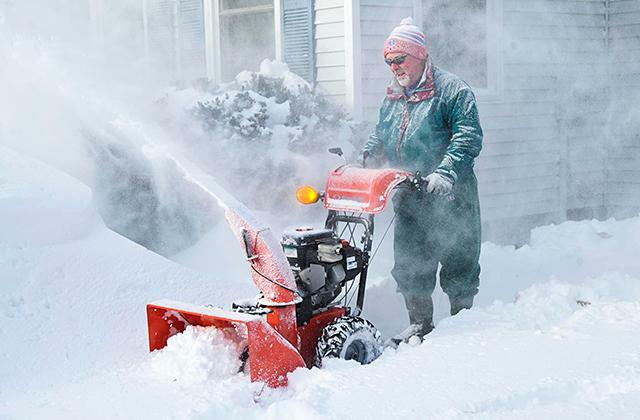 The throttle of this weed eater has three positions: auto, manual and off. The engine can be launched when it is set to "auto" or "manual" position. Then you just pull the starter several times and it starts. 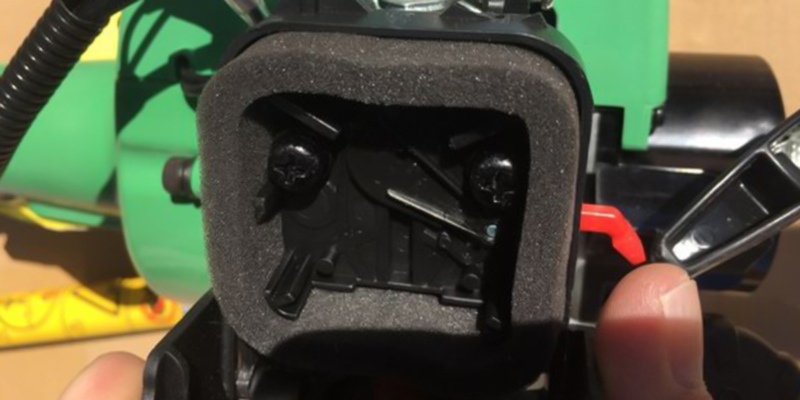 Being in "auto" means that the trimmer will be constantly working and you just have to point it on the grass to cut which will consume a little bit more of the fuel, while in the "manual" mode the trimmer head rotates only when you push the trigger. Another beneficial feature is the ability to attach additional equipment to make this trimmer more handy and versatile. 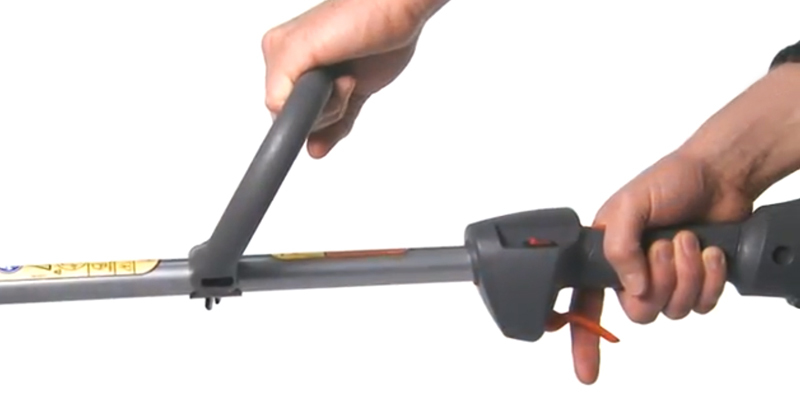 The simple binding will let you split the trimmer into two pieces for convenient storage. One great feature is the three-position choke. One for starting, one for warming up, and one for after it's been operating for a few minutes. Plenty of power for deep grass, although it bogged down a few times. My favorite feature is the straight shaft that allows easy rotation (click and turn) of the head for flat cutting or right angle edging. 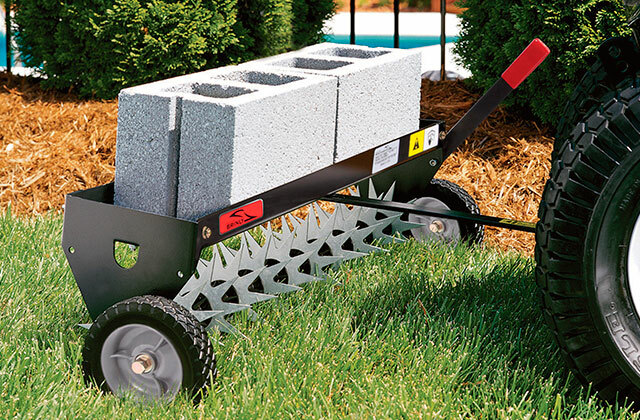 A great, powerful light weight trimmer. The grass mower in question has all the specifications of a lightweight device. Despite that, this is also one of the longest trimmers on the market. And, at the same time, the fuel tank features respectable capacity that would be applicable for a variety of goals. For the convenience of the user, Hitachi CG23ECPSL has a long steel drive shaft with the length of 60”, which is great for tall people and those who don't want or can't bend around the bushes for a long time. 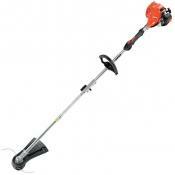 The small 10.4 lbs weight of this grass trimmer will also come in handy in this regard. 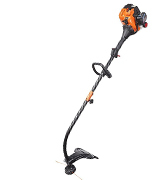 And, in spite of the fact that it comes equipped with a comparatively small 15-inches curved shaft, this gas string trimmer will still allow you to reach the most difficult areas, like the ones under the benches or between flowerbeds. Also, this model has a semi-automatically adjustable 13-feet string, which means that the device will feed the string out when it's needed and the user wouldn't have to stop trimming. All that is required is to tap the trimmer head a little bit. The string is also quite thick, so it will serve for a long time. Hitachi S-Start technology makes it possible to easily start this 22 ccs PureFire engine with the least amount of effort. It's especially a great choice for elderly people or individuals with a thin build. Reduced fuel consumption and relatively large fuel tank capacity will give you around 2 hours of continuous trimming with a tank full of gas. This Hitachi weed trimmer has one of the lowest vibration levels among reviewed because of its anti-vibration system. It's important for user's health because continuous shaking of hands during lawn mowing may lead to tremor. If you find any defective parts or something breaks down during operation, the manufacturer offers 1, 2 or 7 years warranty for rental, commercial, and consumer use respectively and a lifetime warranty for shaft against rust, so that's pretty tempting. In order to improve your experience, you can separately buy some additional accessories for this grass trimmer, such as an edger, a pole saw, a hedge trimmer, or a cultivator tool. The Meditool CG 430 is one of the most powerful grass trimming tools you'd be able to find on the market. That said, because of the large capacity of its huge engine, you will have to deal with the disadvantage of the model's 17 lbs of weight, which is relatively heavy compared to the other models. 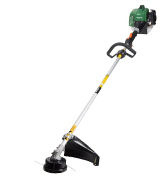 This gas weed trimmer comes with a two-cycle motor with a capacity of 42.7cc. Air cooling system prevents this single-cylinder engine from overheat. It can rake in up to 10,000 RPM with 1.25kw power output and fuel consumption of 610 ml. kW/h, while the fuel tank capacity is 1050 ml. Simply put, all of these numbers mean that it can provide one and a half hours of uninterrupted work. On the whole, it is a powerful tool for all types of lawns, even those with some really thick grass. The only real downside of this kind of firepower is that it requires lots of fuel, so the customer should obviously keep in mind the balance between the engine capacity and fuel consumption while making the decision. 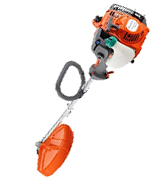 The Meditool CG 430 42.7cc 2-stroke straight shaft gas trimmer has a special 17-inch cutter that consists both of a nylon trimmer and a metal blade. The combination of these components entails effective grass mowing and the size of the cutting blade provides a larger trimming area. Customers can adjust the straight shaft's length at their discretion which would be suitable for people of different height and stature and would help in terms of trimming the grass in those hard-to-reach areas. 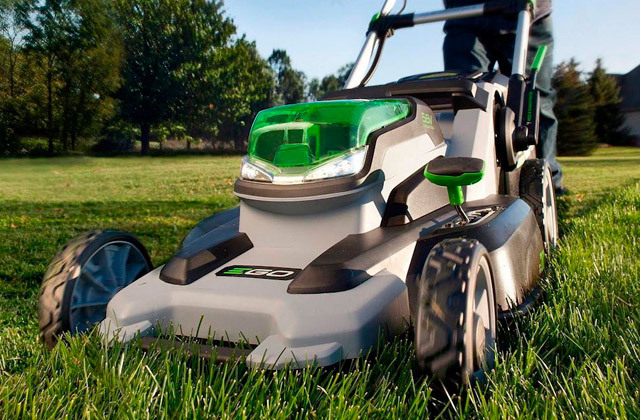 The mower's handle is made of aluminum and has a vibration reducing system and a dual-push button in it to prevent the accidental start and minimize fatigue of the user. The lawn mower itself is equipped with a patented QuickStart technology that makes it much easier to get the whole thing up and running. Before starting the engine, you have to push the primer purge bulb several times in order to create a vacuum in it and pump up the gas/oil mix to the engine so it has enough fuel to launch. 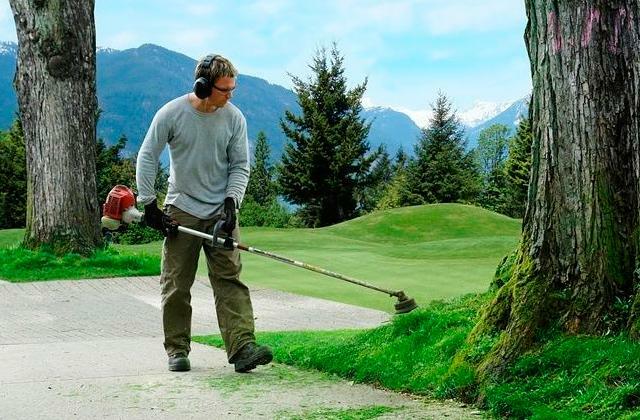 Because this weed whacker is very powerful, it creates a considerable amount of noise (higher than 100 dB), meaning that some form of ear protection is more of a necessity than a luxury. The Poulan Pro PP25CFA isn't the least versatile tool but it's definitely designed for trimming small lawns since its small fuel tank capacity of 10 oz won't be able to offer enough fuel for larger backyards. 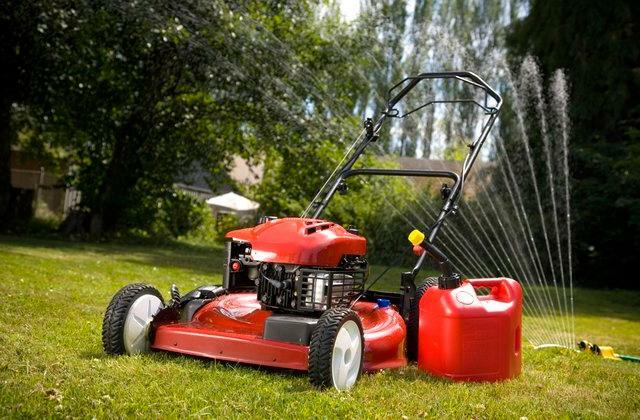 On top of that, there's also the 28 cc 2-cycle engine, which will be enough for cutting grass and removing weeds on the small yard for a short period of time before you will have to refuel the tank. 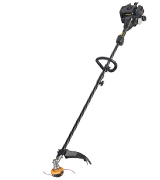 That said, this string trimmer will be great for beginners thanks to its curved shaft that is easier to get used to compared to the regular straight one. The feature that further emphasizes the user-friendliness of this gas string trimmer is its spring assisted starting system which means that the string installed into the launching mechanism will take away a lion's share of launching efforts. 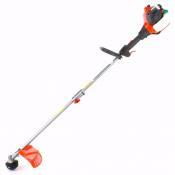 Because its overall length is about 40 inches, this gas string trimmer will prove to be more comfortable for shorter people. However, mowing the grass under some of the lower lying objects might also prove to be a bit of a challenge. 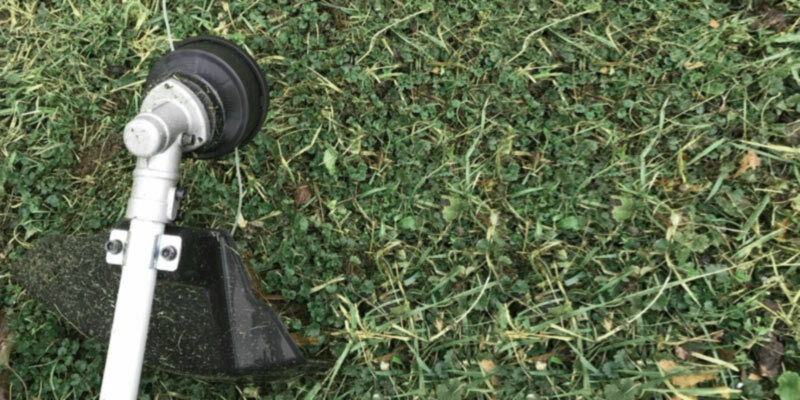 The great advantage of this grass trimmer is that it creates much less noise than other models in this review, so you won't need ear protection to work with this tool. The spool of this gas string trimmer is simple to use and contains no mechanisms and complex parts that may fail you in the long run. In layman's terms, the spool is the plate with two holes for pulling the string through. In the Poulan ProPP25CFA, it is designed in such a way as to prevent the line from meshing. Most customers remark that the engine is easy to use and maintain so it shouldn't cause any troubles for you as well. This gas string trimmer is fed by a mixture of oil and gas that you can prepare yourself with the help of the instruction manual or buy in a specialized store. The smooth start of the machine is provided by the SureFire manual starter with EPS. It has an automatic system that moves the throttle lever to the "run" position after you pull the recoil cord, starting the engine and pushing the starting trigger. 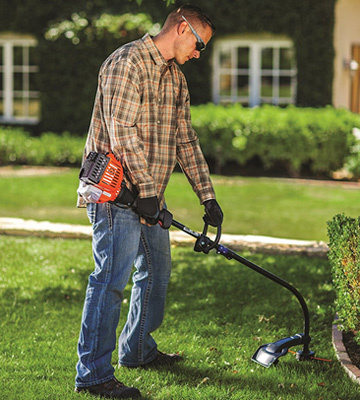 In order to expand the functionality of other features such as tilling, edging, or tree pruning, you can connect additional attachments like an edger, blower, cultivator, or pole pruner. This inexpensive Remington RM2510 Rustlergrass trimmer is equipped with a 25 cc engine that is effective for small or medium-sized lawns and backyards. Despite the fact that the engine delivers high speed, it is not designed for professional or commercial use. 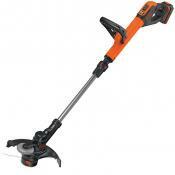 Besides, the fuel tank capacity of 10 ounces will only let you use the trimmer for about 20 minutes. Though this amount of time should be enough to mow a medium-sized lawn. 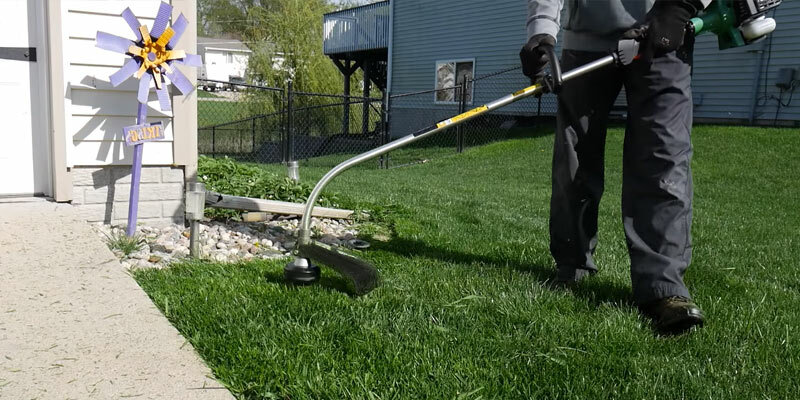 The overall length of this gas string trimmer is only 59 inches which makes it a nice tool for most people of medium height, but not very comfortable for a tall person. As for the weight - 13.4 lbs is fairly average. It certainly isn't the heaviest option on the market but not the most lightweight either. 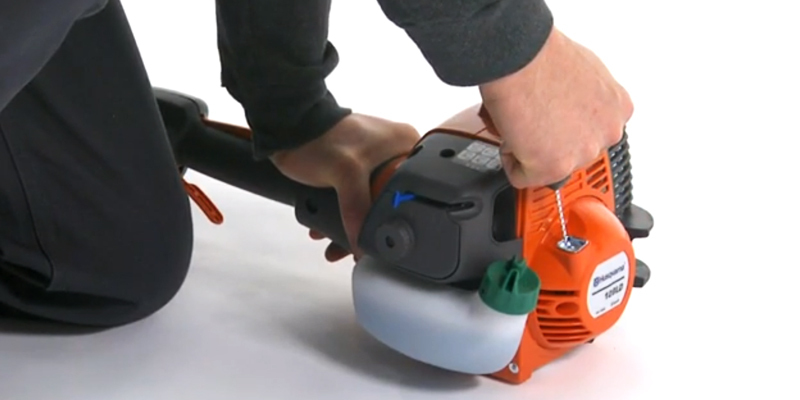 On the whole, this model would be highly suitable for beginners or amateurs and those who don't feel like wasting a whole lot of money on a weed whacker. Despite the affordable price, it has all the basic functions that you need in order to take proper care of your lawn. The Remington RM2510 Rustler 2-cycle gas string trimmer comes in two different options - with a сurved shaft or with a straight shaft. 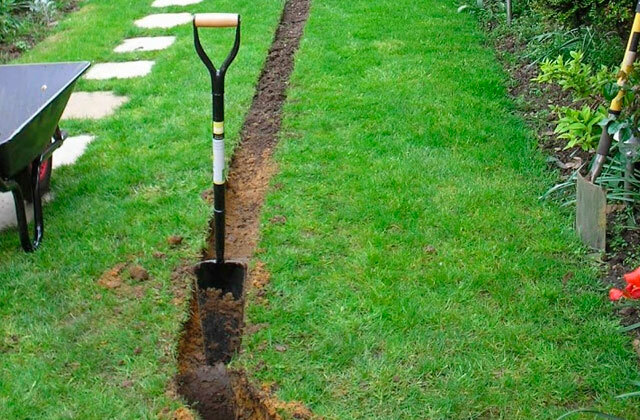 The curved shaft would be better for smaller places such as between the walls and the fences, while the straight one would give you more length and is much more useful for edging than the curved one. It is easy to start this gas string trimmer without putting in a lot of effort because it includes the patented Quickstart™ technology that assists you in starting so you won't have to waste your time stroking the cord to get it running. The spool features a semi-automatic string feed mechanism that can greatly simplify the string pulling, providing you with some extra convenience. Still, if you need to install the string, it will take some time as you have to disassemble the spool and reel up the string by hand. That said, most customers claim that assembling is very easy and, after unpacking, you'll just need to fasten the handle and the guard to the drive shaft with a couple of bolts. What Is a Gas String Trimmer? To keep the good look of the lawn in your yard, you need to take care of it opportunely, otherwise, weeds will overgrow grass and the appearance of the lawn will be poor. 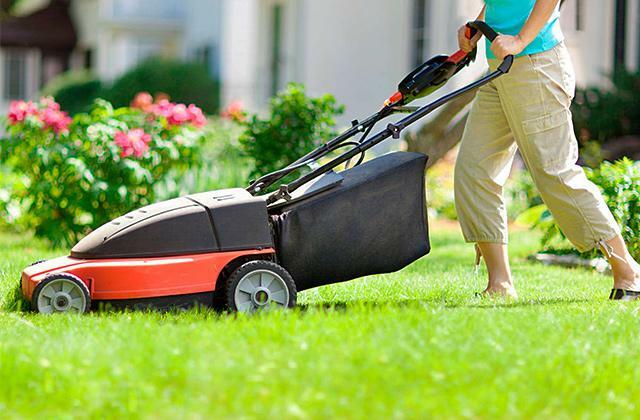 There are many ways to groom a lawn, yet the grass mowing is the most effective. We used bulky scythes and sickles many years ago. 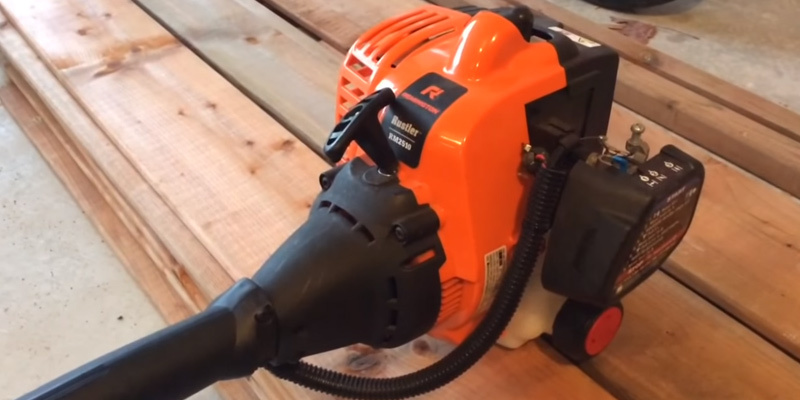 Now, we can use gas string trimmers. A string trimmer consists of a powerful engine rotating the spool with the monofilament line (or string) inside. String trimmers commonly refer to lawn mowers, yet they do a better work on rough surfaces and reach the places where lawn mowers fail. 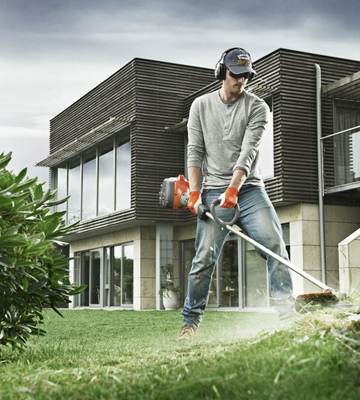 Moreover, string trimmers are more powerful and maneuverable thanks to gasoline engines. Such a design allows using string trimmers almost anywhere, so they will be good both for amateur gardeners and professionals. If you are looking for a tool to mow a large lawn, look at riding lawn mowers or lawn mowers. 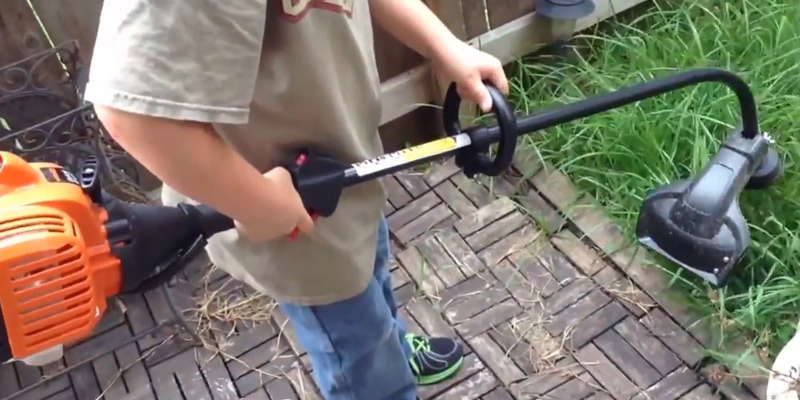 These handy garden tools will make the mowing easier and quicker. 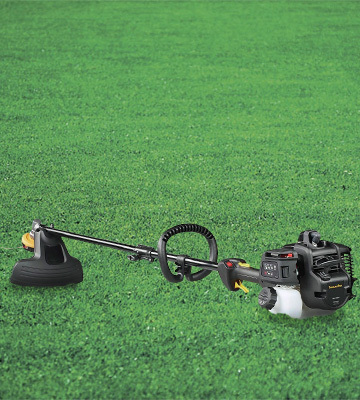 Here are the three main points that should be considered in choosing the best gas string trimmer for yourself that are affected by the size of the areas that you plan to mow, the type of the garden plots, the desirable size of the device for you and the price that you are ready to pay for a lawn mower. 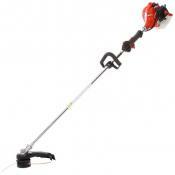 When looking for a gas string trimmer, you need to determine the area where it will be used. Having decided on this, you should choose the type of engine. 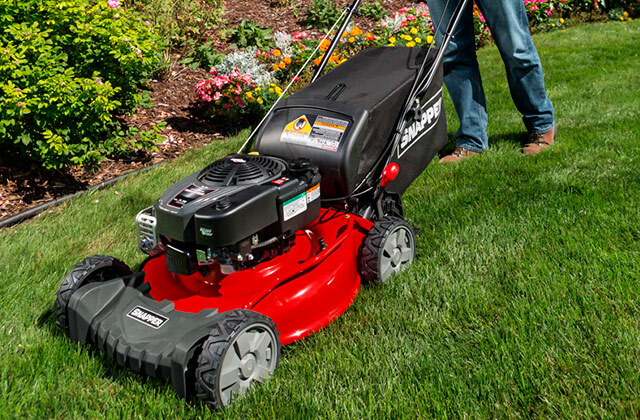 If you are going to take care of a small-sized lawn, you should pay attention to the models with 2-cycle engines of low or medium power. 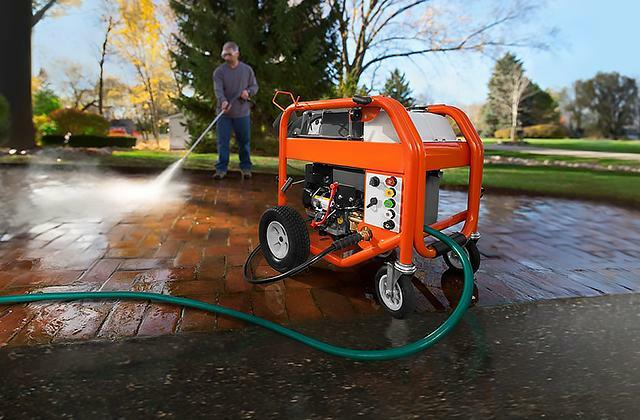 The ease of maintenance and affordable price are the advantages of these models. Yet, you need to mix oil and gas or buy the ready mix in a specialized shop to feed 2-cycle engine. 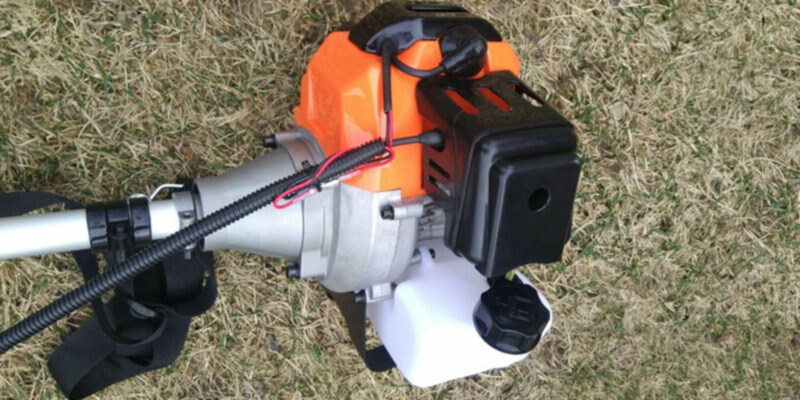 The models with 4-cycle engines will be good for large lawns, and their design allows them to endure high loads without overheating. The 4-cycle engines are more powerful than 2-cycle analogs, they vibrate less and, therefore, serve longer. Moreover, they need only gasoline that you can find at any filling station. You should also pay attention to the engine start system. In particular, you need to consider electric starters and accessories for an easy manual start. Finally, the fuel tank capacity is also very important. The bigger the fuel tank is, the longer the string trimmer works. The design is the next point to pay attention to. You should consider several parameters that directly affect performance. 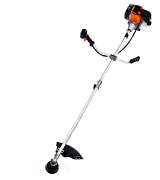 Gas string trimmers with straight shaft are great for mowing the grass under bushes, benches and tables and more than other models suitable for tall people. 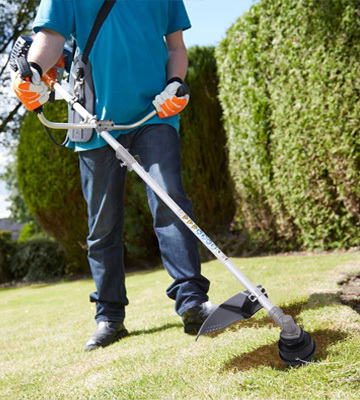 String trimmers with a curved shaft would be easier in exploitation and more suitable for people of short/average height. Their only flaw is a slight inconvenience for reaching out for the grass in confined places. Any gas weed trimmer is equipped with a spool, and the spools are different by their structure and line feed system. The models with semiautomatic string feed are the most widespread today. The semiautomatic feed system supplies the string when you bump the spool. Automatic feed systems supply the string without any outer influence. As for the manual feed system, you have to supply the string yourself by loosening the spool and pulling the string out to the needed length. The string trimmers also differ by the method of the string installation. Some models require spool disassembly and hand string winding, which takes a lot of time. Meanwhile, in other models, it is enough to pull the string through the spool and twist it several times. Hence, the installation is easy and quick. The majority of trimmers cover a 17" cutting path and hold 0.095" string diameter. Usability of a string trimmer is the last but still important thing to consider. You should pay closer attention to the models with quick start systems. The demountable shaft will facilitate storage and transportation of a trimmer. The adjustability of the handle will let you customize its length according to your needs. The cutting head shield, trigger lock, and on/off button will significantly improve the safety of a trimmer. 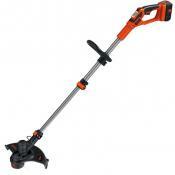 The accessory blades or equipment will turn your trimmer into a versatile garden assistant.